If you are on a diet or simply looking for healthy breakfast alternatives these 3 recipes will definitely add a twist to your mornings. This is a great way to start incorporating greens, fruits & vegetables into your diet if you are in the process of doing so. Using predominantly green foods means that the smoothie is rich in chlorophyll, minerals, phyto-nutrients, protein, calcium, iron, vitamins and has a low glycaemic load. They build your immune system and help you absorb vital nutrients. This is an excellent recipe if you don’t have much time in the morning. You can start preparing it a night before by soaking 1/2 cup of oats in water and let it rest overnight. Oats are super healthy and inexpensive. I buy regular rolled oats. Use gluten-free oats if you’re gluten intolerant, have celiac disease or just want to avoid gluten. Tip: You can add chia seeds for better texture. Add chopped strawberries, dark chocolate & nuts on top before serving. If you’ve been working out your muscles will thank you for this meal. The main protein providers in this meal are quinoa, black beans, spinach, avocado, tomatoes, flour or corn (large) tortillas. Additionally, the quinoa & black beans are each complete proteins, meaning that they contain all of the essential amino acids and in the correct proportions to provide the body with an optimal protein source. Here’s a breakdown of the ingredients needed for each burrito component. Add the chopped spinach, lime juice, olive oil, and sea salt to a bowl and massage the spinach for 2-3 minutes or until tender. Set aside. Add the quinoa and water to a small pot with ¼ teaspoon sea salt. Heat over medium-high heat until boiling. Reduce heat, cover, and simmer for 10-14 minutes or until quinoa is tender and translucent. Fluff with a fork and transfer to a large bowl. Add the black beans, chopped cilantro, lime juice, hemp seeds, sea salt, and black pepper to the quinoa and stir. Set aside. Add the tomatoes, red onion, cilantro, and sea salt to a bowl and stir to combine. Set aside. 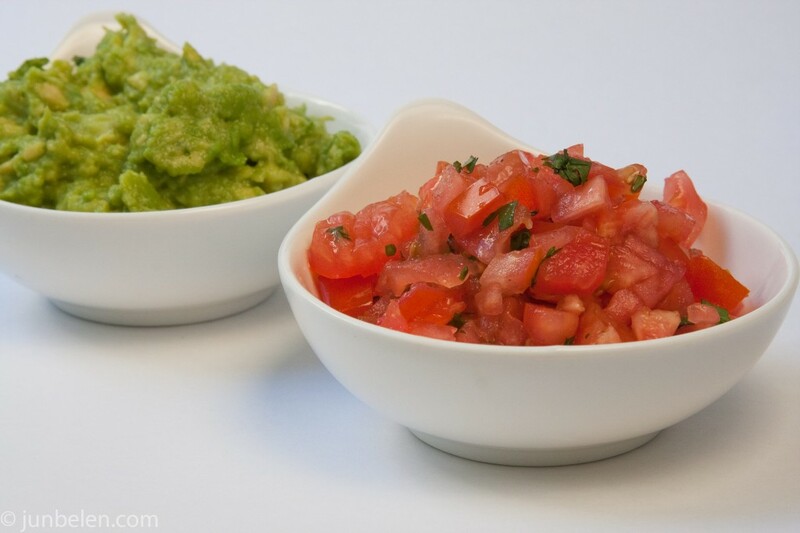 Scoop the flesh of the avocado into a small bowl along with the juice of one lime, the olive oil and sea salt, to taste. Use the back of a fork to smash the avocado to desired consistency. Set aside. Lay one tortilla on a flat surface. Fill the tortilla with the quinoa mixture, pico de gallo, guacamole, and spinach. Begin rolling the burrito away from you, being sure to tuck the sides in as you go. Slice in half and serve immediately. If you tried any or all of these recipes let me know what you thought of them in the comments. Share your personal modifications as well!